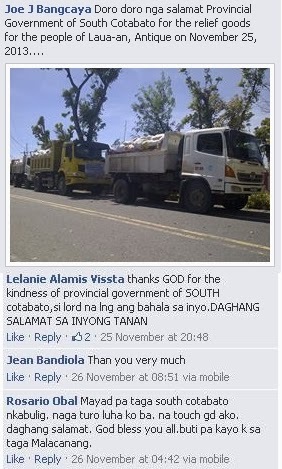 The provincial government of South Cotabato has joined other LGU's from all over the country in extending aid to victims of super typhoon Yolanda in the Visayas. 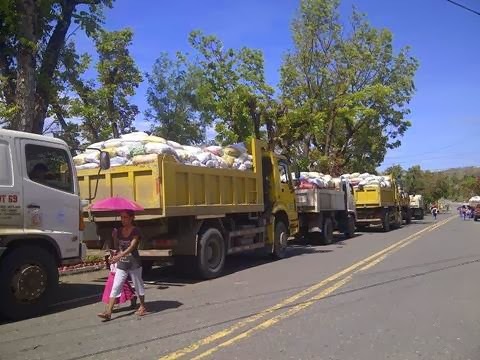 Dubbed as "Oplan Bulig sa Panay", fifteen (15) dump trucks loaded with relief goods were sent last November 21, 2013 in areas in Panay Island particularly in Iloilo and Antique provinces which were also hard-hit by typhoon Yolanda. The relief goods consists of food and non-food items were purchased by the provincial government of South Cotabato and those gathered from different LGU's in the province, organizations, companies, schools and individual donations. 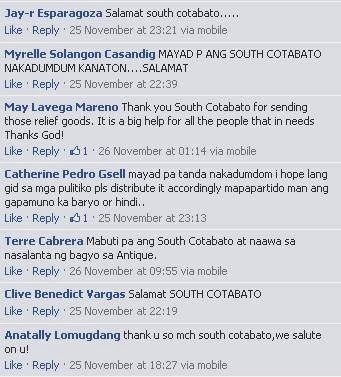 In return, people from the said areas expressed their gratitude to the provincial government and to the people of South Cotabato for the assistance extended to them. Below are some comments posted at Bangon Antique Facebook page.